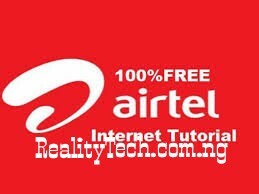 Hello friends, I will teach you a simple trick to enjoy cheap data on glo. Of course we all know that glow is still the grandfather of data with the speed of its bad network. 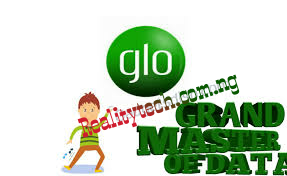 How to get 2.4 GB for the N500 on Glo? you doubt me? Or is it really good to be true? If you are actually a follower of Realitytech.com, then you should know that we do not post inconsistent cheats and tricks. Glo 2.4 GB for the N 500 is not really deceptive, and it is valid for 21 days. I will show you that subscribe to this cheap data plan on glow. This trick is implementing two tariff plans to get huge data here, which is one of the schemes, Glo oga sim. A few months ago, Glo introduced Oga SIM which works for all the new sims, whether it's 3G or 4G SIM card. The plan comes as a default for each sim. For older users, you are eligible, provided that you have not subscribed for the last 90 days, while new users are eligible for this offer when they purchase a new Glo SIM. Another tariff plan is Glo Yakata, which gives you bonuses while recharging. Using the default plan / offer alone (Oga SIM) gives you 1.8GB for valid N500 for 14 days (2weeks), while I will validate the trick you teach here for 21 days for the N500. Without wasting most of our time, let's go with the qualification starting from Glo Oga SIM. A new customer who buys a new Glo SIM will benefit from the promo. Existing customers who have never used the data will benefit from purchasing data for the first time. Those customers whose final data plan exceeded 90 days ago (3 months), they will also benefit from Oga SIM. Everyone is eligible for this tariff plan. Therefore, if you are involved in people who are eligible for Oga SIM offer, please migrate to the Glow Yakata Tariff Plan by dialing *220#. Dial #100# to check your current tariff plan. Ensure that you are eligible for Glo Oga SIM and you have migrated to the Glo Yakata Tariff Plan before subscribing to this data plan. After making sure that you are eligible for Glo oga SIM offer and you have migrated to the Glo Yakata Tariff Plan, then recharge your SIM with Airtime N500 and you will be given 600MB + N1,750 for all network calls. This bonus is from your Glo Yakata scheme that you migrated. To see your bonus call balance, dial *220*1#. Now, dial Dial *777# and select N500 data subscription for Glo oga sim offer, which gives you 1.8 GB. Now you see the move about which I am talking about? I know that you are smiling now Please note that the data is valid for 21 days, and you can rollover the rest of the data by subscribing again before the expiration date. Give it a try bro, enjoy.